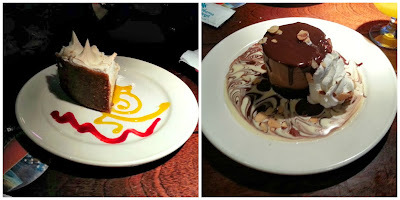 I'm writing this blog post on a very full stomach, as I've just returned from the Troy, MI Bahama Breeze location after sampling their Rumtoberfest offerings. 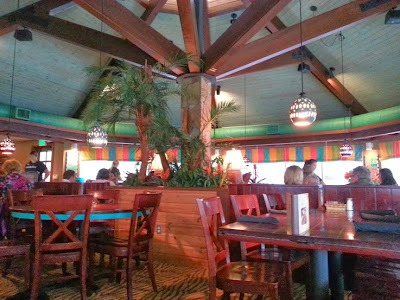 I first wrote about Bahama Breeze back in February, when they introduced their late-night happy hour promotion, which is ongoing. 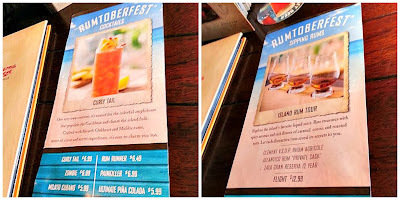 This month, the restaurant is celebrating Rumtoberfest with a great selection of rum drinks, two of which I was able to try. Curly Tail drink. Check out the lizards! Bahama Breeze is also serving flights of "sipping rums," including Clément V.S.O.P. Rhum Agricole, Zaya Gran Reserva 12 Year, and Atlantico “Private Cask” Rum. In addition, each week on their Facebook page, the restaurant is giving away a trip for two to the Bahamas! You read that right - each week, a new winner is selected, for a five-night stay including airfare. This is the last week of Rumtoberfest, so make sure to get your entries in! 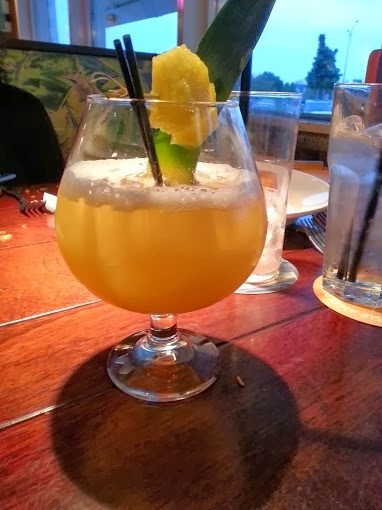 I was also able to try the Goombay Smash, which includes Captain Morgan spiced rum and Myers' Original Dark Rum with fresh orange and pineapple juice. 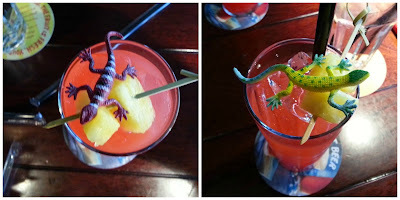 Overall I preferred the Curly Tail as it was a bit sweeter, but the Goombay Smash was great too. I am also a big fan of Bahama Breeze's happy hour (Monday through Friday, 4-6pm) as all of their appetizers are half off - I regularly go there with my book club and with friends. 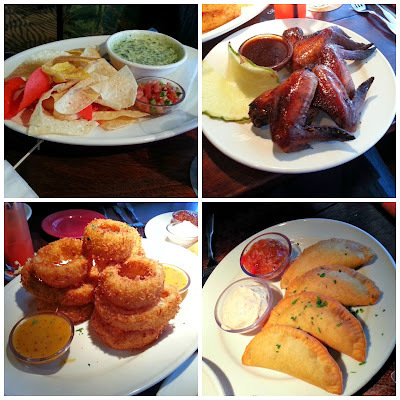 My favorites are the empanadas (both beef and chicken), the chips and pico de gallo, and the onion rings. 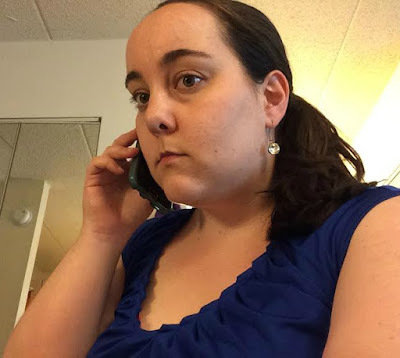 The manager of the Troy location, Jill, was also very helpful, and she told us that their key lime pie takes six hours to make from scratch, and it's made fresh every morning. She also gave us some interesting history about the Troy location, which opened in 2000, and why the layout is set up how it is. 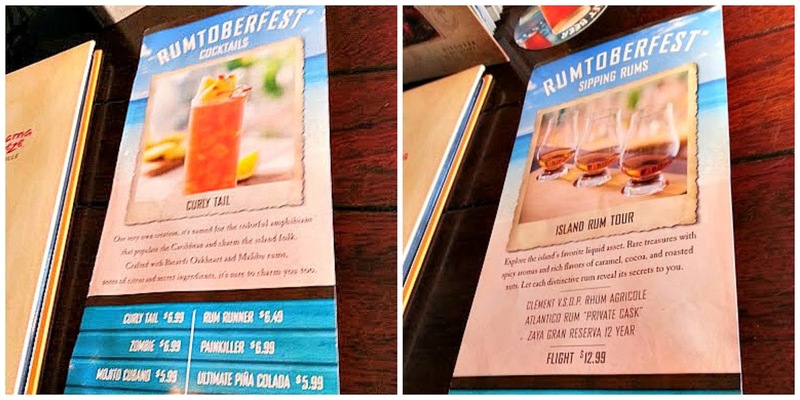 Make sure to check out Bahama Breeze's Rumtoberfest before it's gone - this Sunday, November 3rd is the last day! 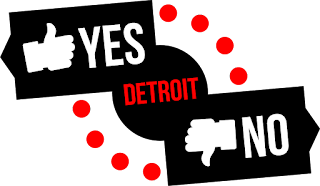 In the metro Detroit area, you can find the restaurant in Troy and in Livonia. You can find Bahama Breeze online at their website, on Twitter, and on Instagram, as well. *Disclosure: I received free food and drinks in exchange for a Rumtoberfest review. The opinions expressed here, however, are my own. Desserts: key lime pie (left) and chocolate island. Yum! The drinks and food look really good.